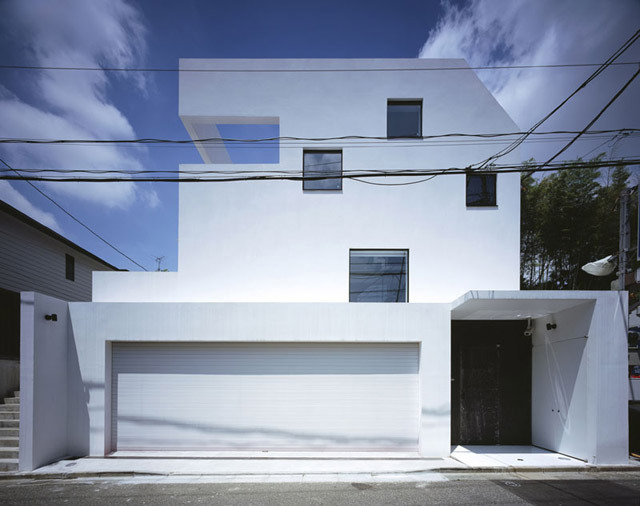 This Japanese architect dude designed this house. Looks very Apple-ish, eh? He’s got nine cars. They’re underneath the house. And they rise on an elevator into his living room. 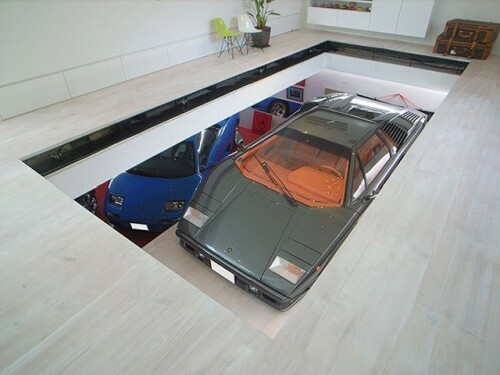 There’s his Lambo lurking just below ground. Can I just get some frickin’ sharks with laser beams on their heads, too?